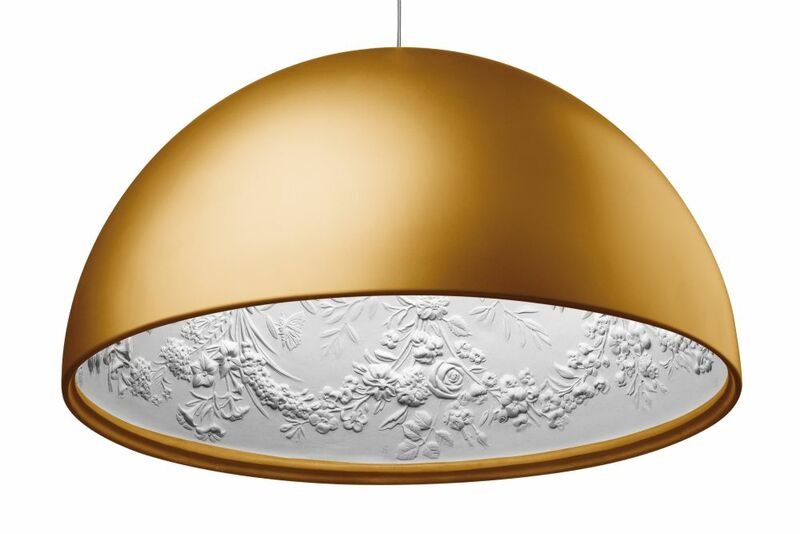 Skygarden is a sleek lamp on the outside and a plaster masterpiece on the inside. Marcel Wanders is a product and interior designer who drew international recognition for his Knotted Chair produced by Droog Design in 1996. His work is ubiquitous; he designs for leading international companies such as Flos, Alessi, Puma, KLM Royal Dutch Airlines, MAC Cosmetics, Cappellini, B&B Italia, Moroso and Target. Wanders also designs for architectural projects, such as the Kameha Grand hotel in Bonn, the Mondrian South Beach hotel in Miami and the Villa Moda store in Bahrain. In addition to running his studio, Wanders is co-founder and Artistic Director of the successful design label Moooi (2001).